Hello my friends! Just a little update on the progress of our renovation project. The doors for the main floor and upper level are almost complete. 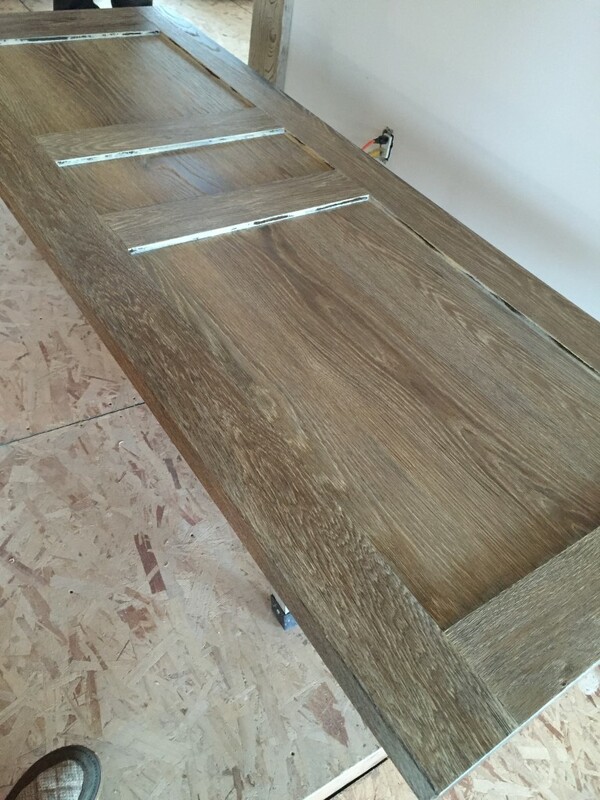 The finish on these particular doors is a match to the DuChateau hardwood that we’ve chosen. You can see the sample sitting on top of one of our doors in the picture. 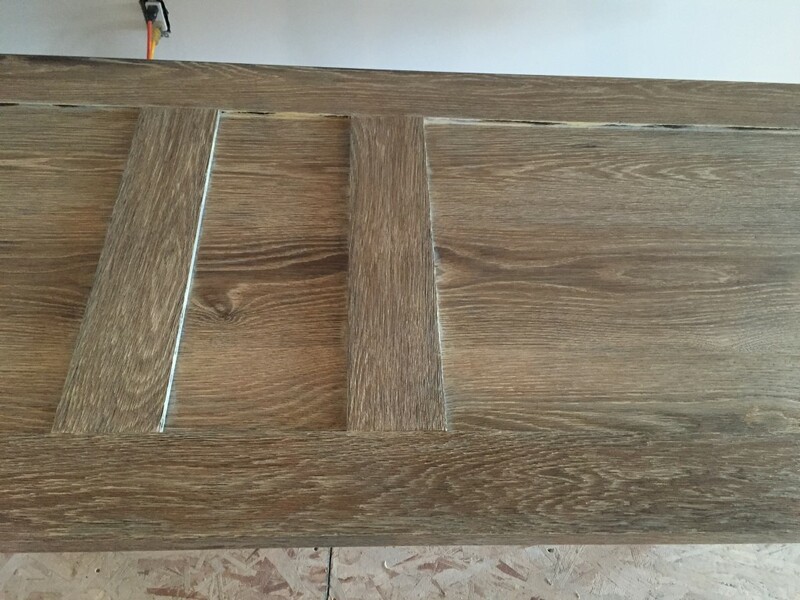 It took a 7 layer process to get this finish but we nailed it! 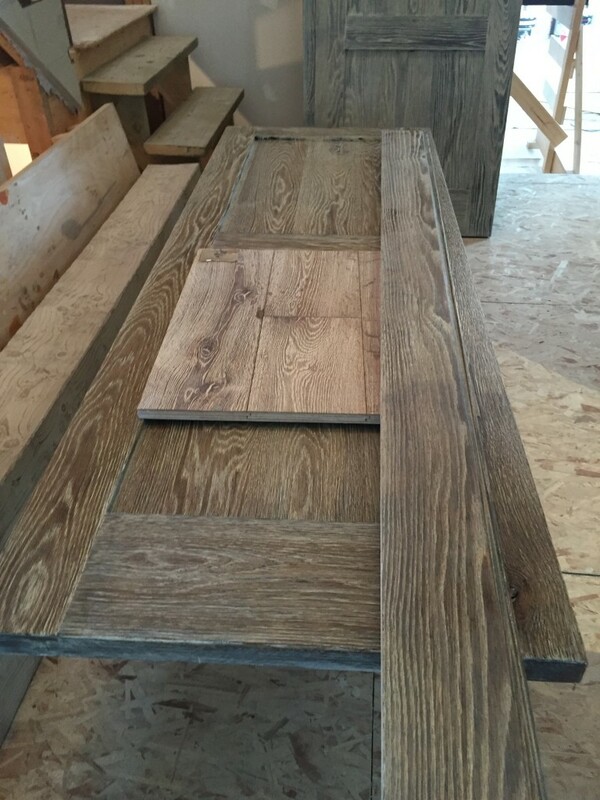 There is still a french style trim to go along the inside framing of all the doors. I’ve picked the hardware as well which is an oval crystal knob on an oval satin nickel plate. It’s going to be stunning! 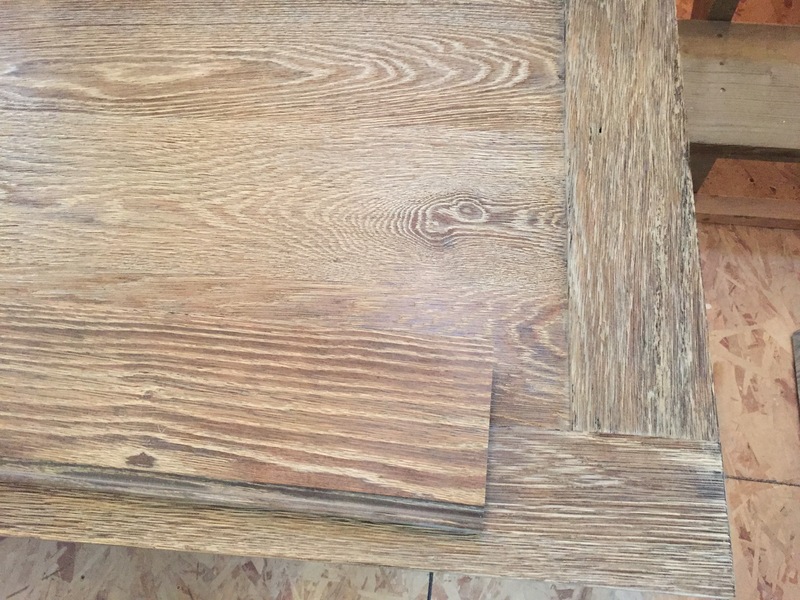 Here is a door with a piece of the baseboard laying on top of it plus the hardwood floor sample. The inside edge will have a french moulding applied (which isn’t shown). The wood grain shows so beautifully! 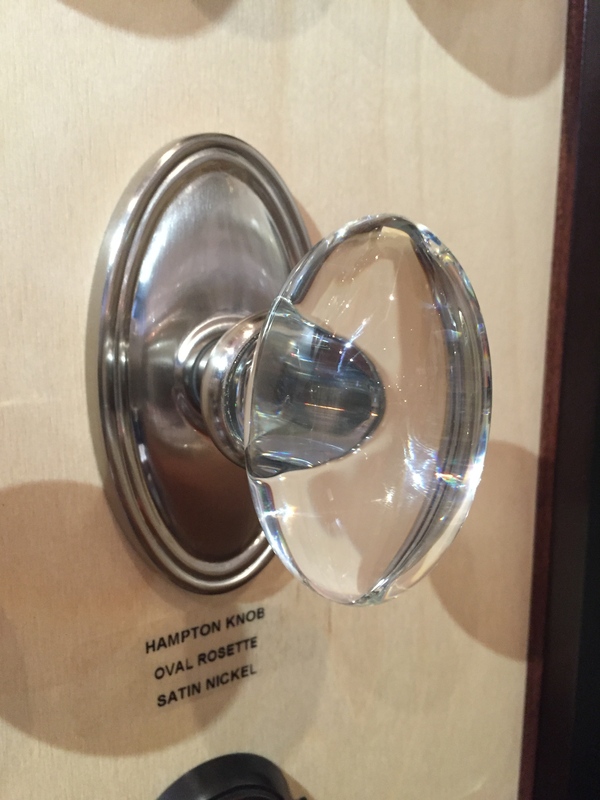 Oval crystal knob and satin nickel oval baseplate.